Embed from Getty ImagesDuchess of Cambridge Catherine today visited Foundling Museum in London to find out more about the Museum’s history. The Museum explores the history of the Foundling Hospital, the UK’s first children’s charity and first public art gallery. The Foundling Hospital, which continues today as the children’s charity Coram, was established in 1739 by the philanthropist Thomas Coram to care for babies at risk of abandonment. 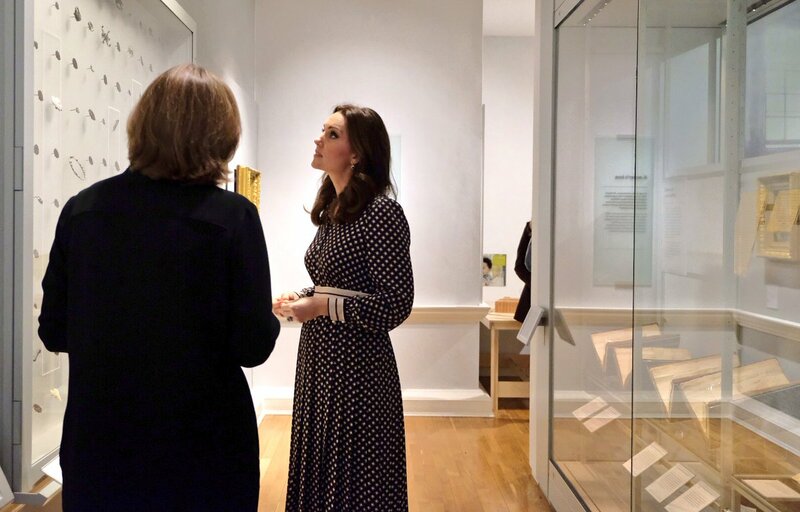 Duchess’ visit was aimed to learn about how the Museum aims to give young people new skills, an understanding of history, and a space in which their voices are heard. At museum Kate viewed an exhibition about the history of the Foundling Museum. The exhibition exhibits the history from 1741 when the first babies were admitted, to 1954 when the last pupil was placed in foster care, the Foundling Hospital cared for and educated around 25,000 children. The Duchess viewed tokens which were left by mothers with their babies at The Foundling Hospital so they could identify them. They are being displayed at museum now. Duchess met little Louisa, aged 11, who took part in art therapy sessions at Great Ormond Street Hospital run by the Foundling Museum there. Catherine met children from The Thomas Coram nursery that is next to the Museum and saw some lanterns they have made. Next Kate spent some time in Art & Craft session. She met little nursery children and took part in their art project activities. During an art workshop The Duchess also met young children from Argyle Primary School. 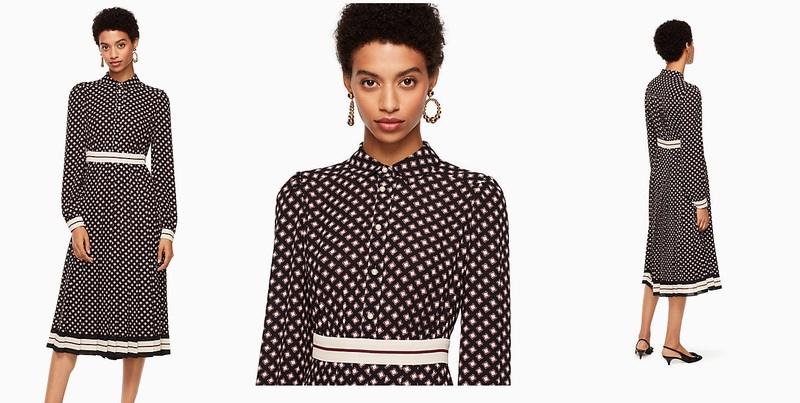 For the occasion glowing Duchess chose a pretty diamond pleated shirtdress from Kate Spade. The $398.00 dress features a pleated silhouette and feminine tie-neck that knots into a dramatic bow. The dress is from label’s 2018 Resort Collection and currently available online in few sizes. Duchess paired her outfit with contrast burgundy accessories. 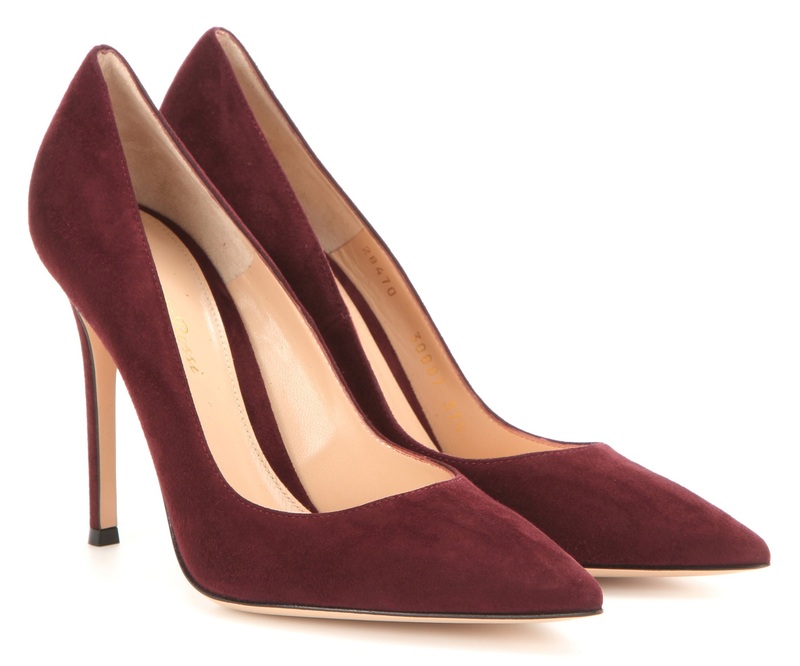 She chose Gianvito Rossi ‘Gianvito 105’ Royale Burgundy Suede Pumps that are available for $675.00. 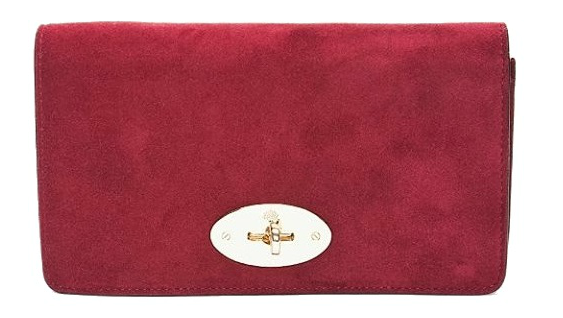 Duchess was seen carrying her burgundy cranberry suede ‘Bayswater’ clutch bag from Mulberry. 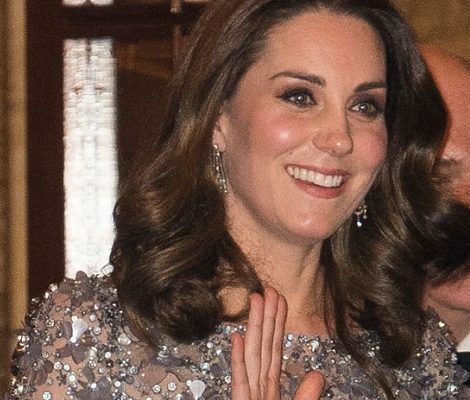 The Sapphire & Diamond Oval Drop ‘Diana’ Earrings that were originally owned by her late Mother-in-law Princess Diana and gifted to Duchess by Prince William complimented the whole look.